I have still not seen any reliable data on failure rates of Intel's 750 NVMe SSDs. 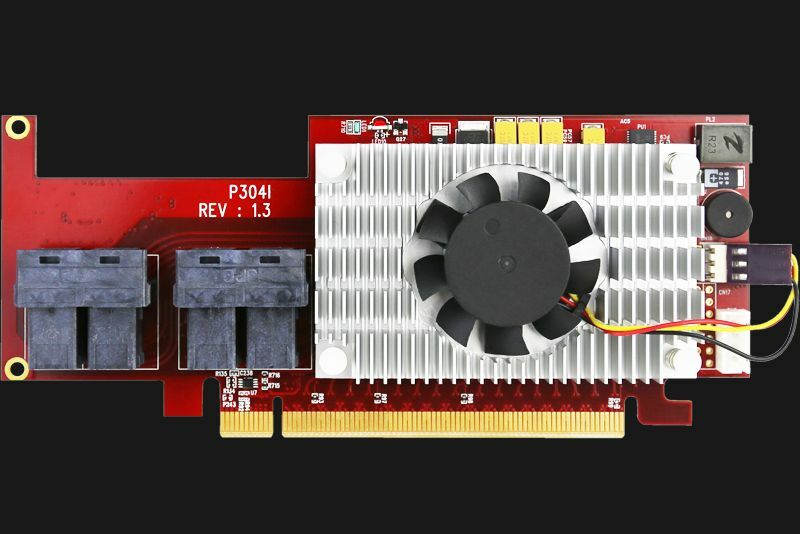 using the 128b/130b "jumbo frame" in the PCIe 3.0 spec. 2 or more M.2 SSDs in a RAID-0 array. ends up hitting the DMI 3.0 bandwidth limit. connected directly to the CPU. and install such a controller in an x16 slot controlled directly by the CPU. These controllers are quite mature, technically speaking. with native support for all modern RAID modes. Thanks. Yes, I saw that Press Release. it will be turned on to indicate the failure. Also, the buzzer beeping to alert. DO THESE PLX CHIPS GET HOT? The Switch-based Cable Adapters do not require drivers and operate in a simple bus pass-through mode. The card appears in the Windows device manager as a Base System Device, or as a PLX PCI bridge when using LSPCI in Linux. supports NVMe RAID solution packages for Window and Linux storage platforms. — or 32 lanes of PCIe 3.0 per host. (which means the same PCIe 3.0 bandwidth limitations apply). to those x16 adapters e.g. photos too. The One Stop Systems PCIe x16 Gen 3 Switch-based Cable Adapters operate at up to 128Gb/s of PCIe 3.0 speed in a slim HHHL (Half-Height Half-Length) form factor. 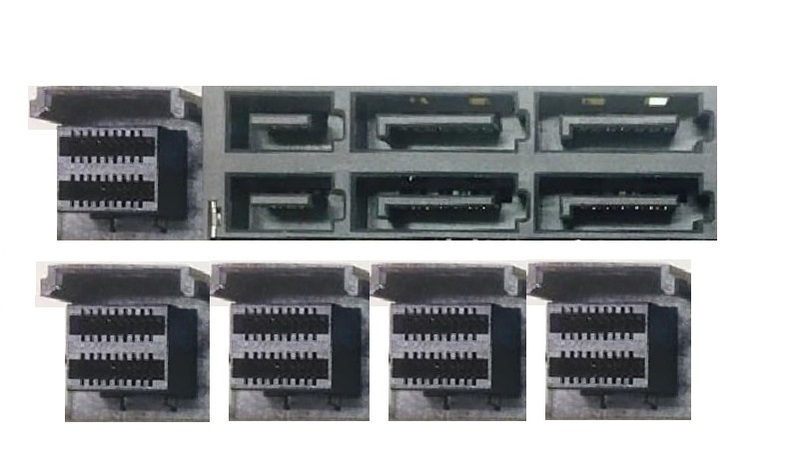 The switch-based board draws a miserly 17W of power under full load and slots into a standard x16 PCIe slot, though it will support x4 and x8 connections as well. 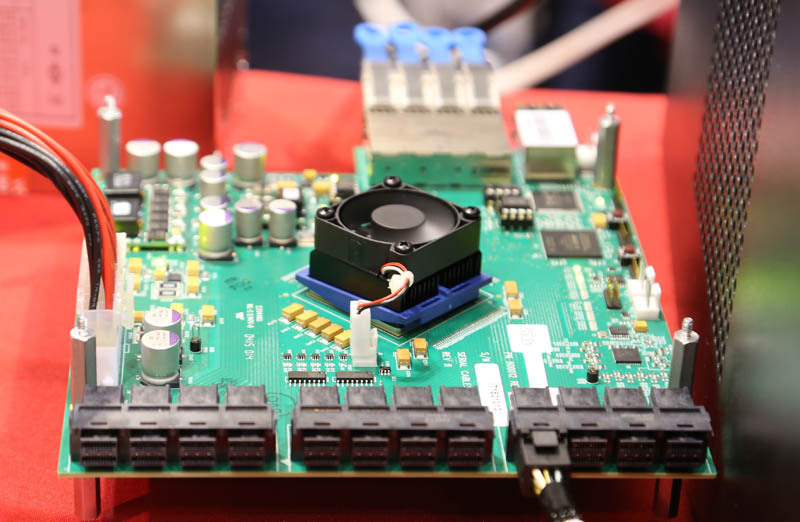 The card supports PCIe 3.0 x16 cables and employs a 32-lane PCIe 3.0 PLX PEX8733 switch. I came across this post while doing some research on a DB project we are working on where we are planning on using Samsung PM1725 3.2TB NVMe flash drives. The issue right now is that NVMe flash performance has outpaced standard controllers by a wide margin. Most traditional RAID controllers, like the highest end PRECs on Dells Power Edge server line will max out throughput and iops at 6-8 regular SATA SSDs, nevermind NVMe. In the context of OLTP Databases (MS SQL), which is what my project is for, people are essentially passing these devices to the OS as JBOD and then relying on software layers for data consistency. Part of that is software raid, but not what you are thinking. High performance flash like this is very expensive, so ideally you don't want to waste space in a RAID config. For MS SQL, you install the OS on SSDs like the Intel 3610 for instance and have those configured in a RAID 1 through a traditional hardware raid controller like a Perc H730P. Then you have 4 NVMe drives presented to the OS, you use the OS software RAID them in a RAID 0, or keep them as seperate devices, or you can have 2 x 2disk RAID0s (assuming 4 x nvme devices). So you are using software raid, but not worrying about redundancy. Then you are using a product like SIOS sanless cluster http://us.sios.com/products/what-is-a-sanless-cluster/ (there are other products as well), to handle data redundancy at the block level. The software will synchronously replicate changes between the NVMe devices on multiple nodes and present that to the OS as a shared storage device. So if a drive failure occurs, and takes out 2 of the drives (due to them being configured in RAID0), as far as your SQL cluster is concerned, doesnt matter, the software can just get the blocks from a different drive on the other node. On top of that you are probably using something like SQL Server availability groups for additional failover/safety. Sorry if any of the above wasn't clear, let me know if you have any questions. I think once we see some NVMe raid controllers with proper performance this paradigm might shift, also when prices on the drives come down, right now a 3.2 TB Samsung PM1725 will set you back between 4-5k.